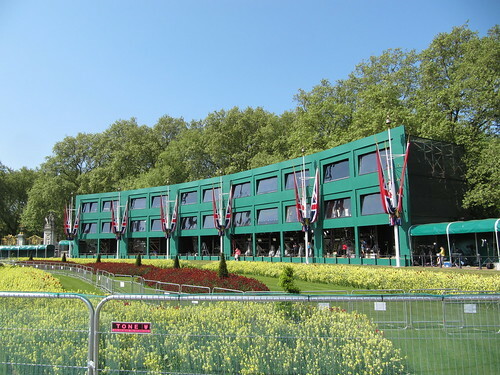 i b i k e l o n d o n: Royal wedding road closures + sunshine = London cycle chic! 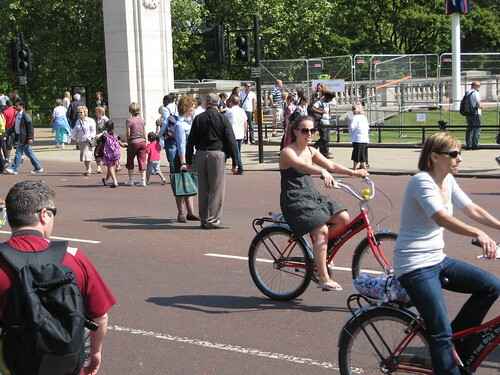 Royal wedding road closures + sunshine = London cycle chic! 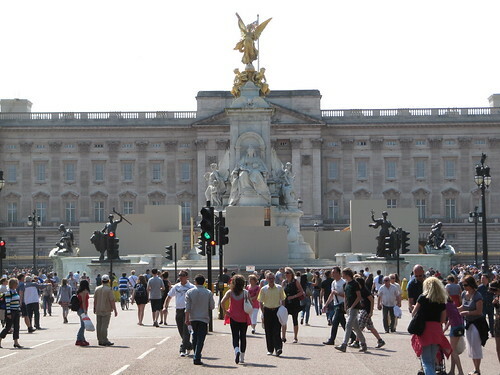 I thought I'd check out the preparations for the Royal Wedding over last weekend - the media city being built around Buckingham Palace and Westminster Abbey is really something to be seen. Perfectly coiffured American newscasters are ensconced in demountable TV studios in Trafalgar Square, whilst Indian presenters are already rehearsing their lines in Green Park. There can be no doubt that Friday's nuptials are going to be quite the three ring circus. 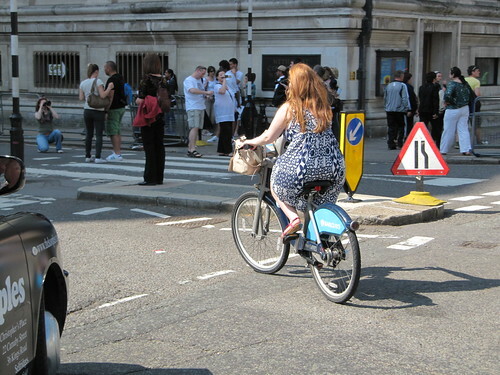 But there was something much more exciting about the whole affair, to this humble bike blogger at least. The combination of road closures around St James Park and the Mall, quiet bank holiday traffic and glorious unseasonably warm sunshine meant that tourists and locals alike were taking to two wheels to check out the buzz. 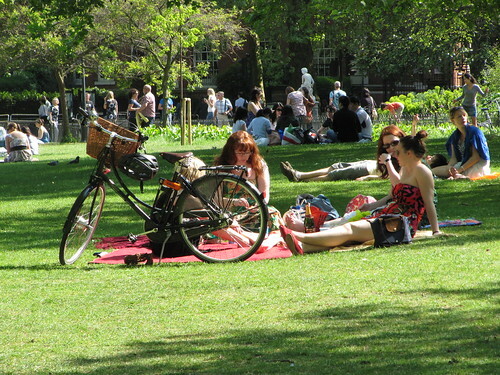 The parks were beset by picnicking Pashley riders, whilst visitors on hire bikes cruised past the Abbey. Getting about by bike was the way to go this past weekend... ..It's Royal Wedding cycle chic! 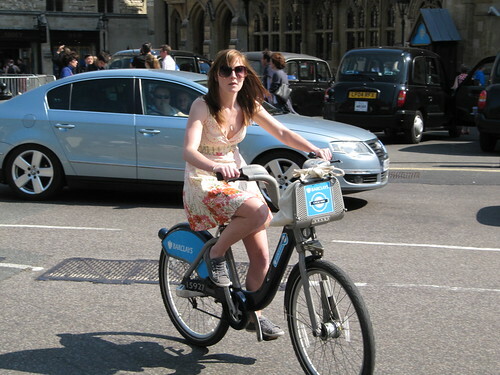 Of course, London does pretty well in the Cycle Chic stakes all year round, as testified by our sister site, London Cycle Chic. For those of us who live in the city, we don't need no special occasion to look good on two wheels. 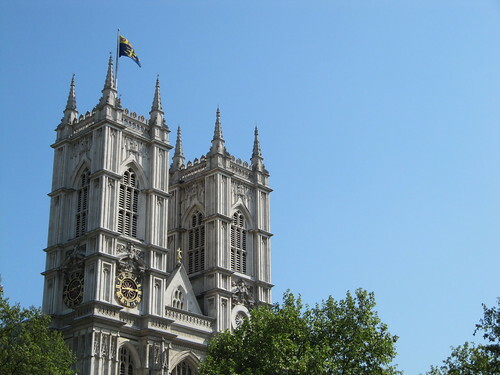 For those of you keen to experience London almost traffic free, the City will be almost deserted of traffic come Friday morning, and much of Westminster's roads will be closed. If you get up early the city is your oyster! 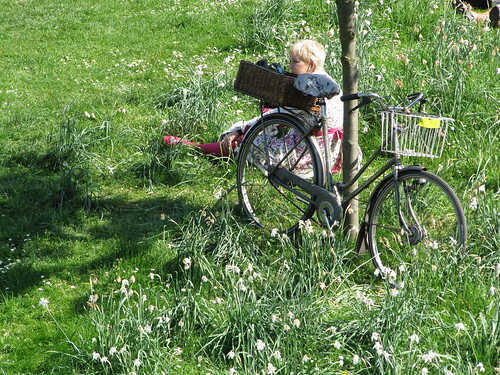 As you've probably noticed, ibikelondon is taking a little rest from its usually relentless publishing schedule to enjoy spring and the extended Easter holidays. 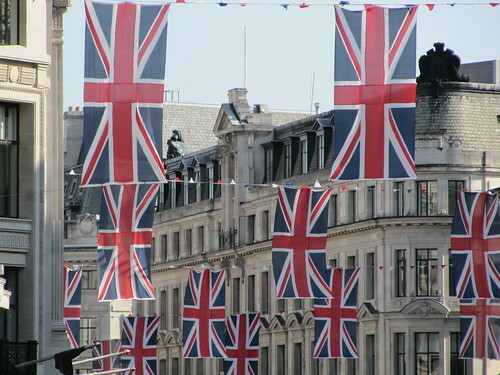 A 'happy royal wedding' to all of you, and I hope you have a great extended holiday, and see you all back here in May.